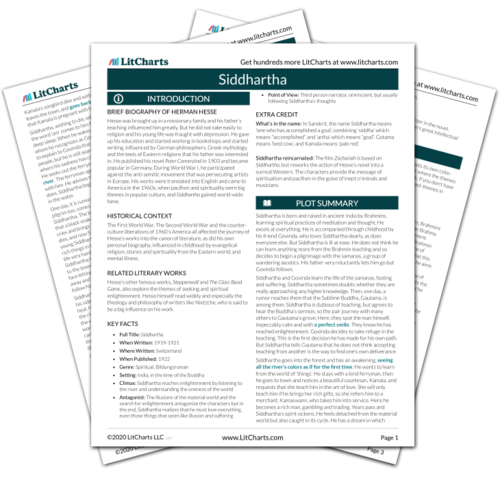 Instant downloads of all 942 LitChart PDFs (including Siddhartha). 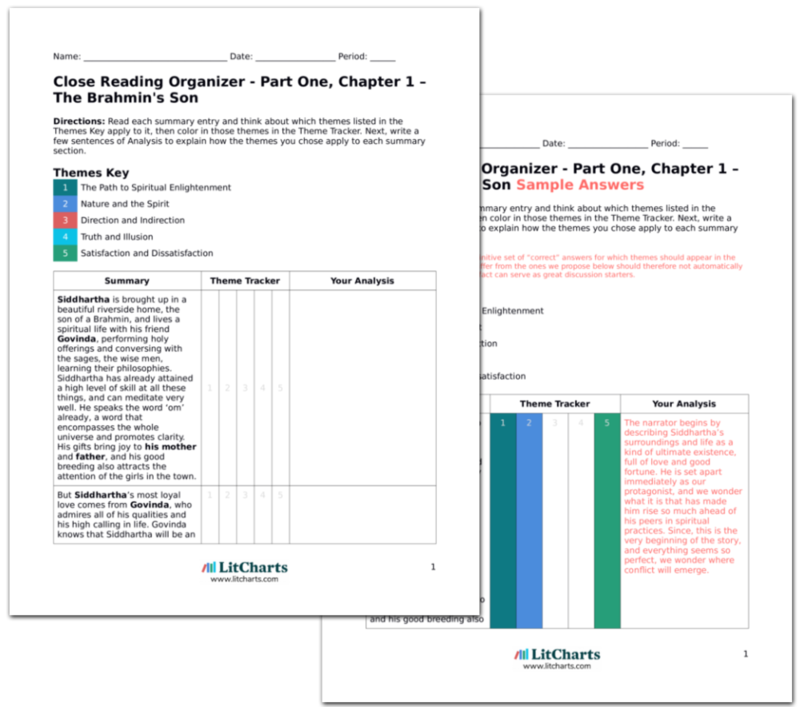 LitCharts assigns a color and icon to each theme in Siddhartha, which you can use to track the themes throughout the work. Part of the teaching of the Buddha is that deliverance comes from rising above the cycles and circles of a worldly life. Throughout the novel, cyclic experiences are viewed negatively. The cycles are connected with the spiritless, sinful lives of the people in the town, whereas the samanas and the Buddha intend to live their lives towards enlightenment and Nirvana, aiming for higher places with every action. Though Siddhartha appreciates Buddha’s teaching, he doesn’t understand how to leave the unending cycles behind. So rather than choose a direct path that would have him follow the lead of one who has attained enlightenment, such as the Buddha, Siddhartha chooses a path that might be described as moving along ground level, seeking through the natural paths and waters, through the streets of the town, to achieve his own progression. 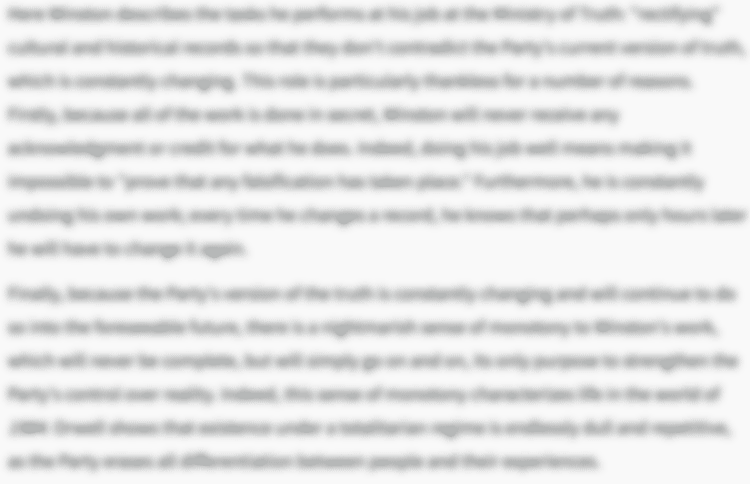 In this way, the novel is full of contradicting directions of flow and influence. The path upward is elusive and the path along is repetitive and cyclical. Perhaps it is direction itself that is hindering Siddhartha from finding his way? When he allows himself to live by the river, without following or seeking a particular path, his lack of direction makes sense, and mimics the river itself. The river seems to be flowing one way, another, falling over a cliff as a waterfall, halted and meandering, unchanged by time, never beginning or ending. It is the vision of this wholeness that brings light to Siddhartha’s thinking and purpose to his life’s wandering. Enlightenment had been associated with height and a journey upwards, but Siddhartha’s searching shows that enlightenment is not ascending above the rest of the world but rather recognizing one’s equality with it. And, fittingly, the novel ends with Siddhartha face to face with his childhood friend, not above but together with the world. The ThemeTracker below shows where, and to what degree, the theme of Direction and Indirection appears in each chapter of Siddhartha. Click or tap on any chapter to read its Summary & Analysis. 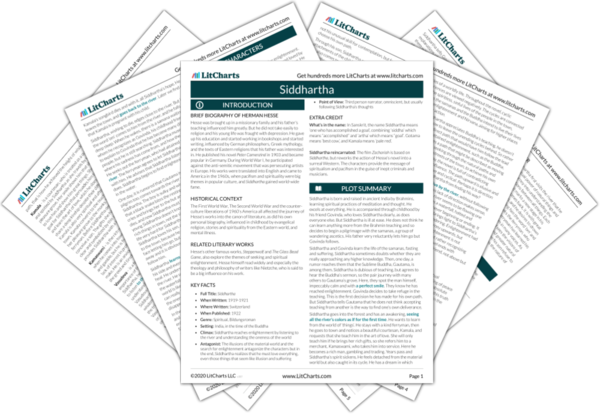 Get the entire Siddhartha LitChart as a printable PDF. 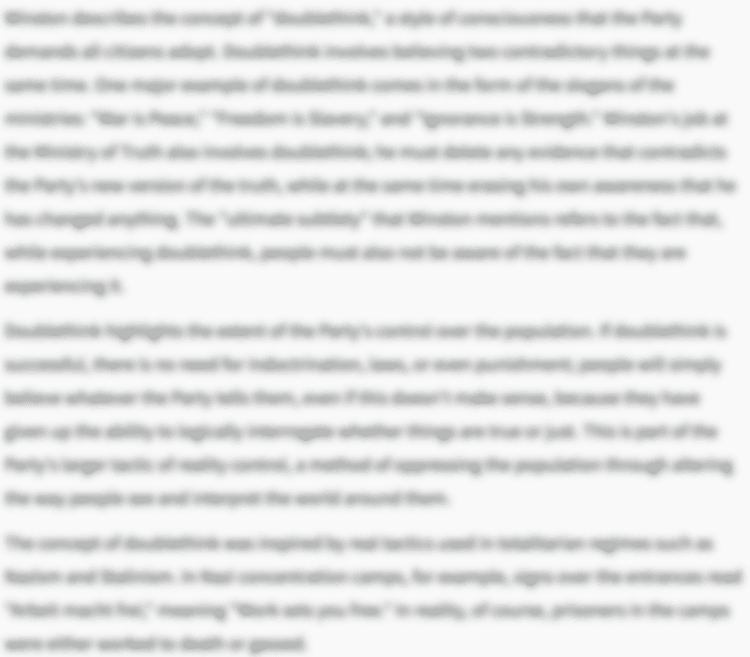 Below you will find the important quotes in Siddhartha related to the theme of Direction and Indirection. Parfitt, Georgina. "Siddhartha Themes: Direction and Indirection." LitCharts. LitCharts LLC, 16 Sep 2013. Web. 11 Mar 2019. Parfitt, Georgina. "Siddhartha Themes: Direction and Indirection." LitCharts LLC, September 16, 2013. 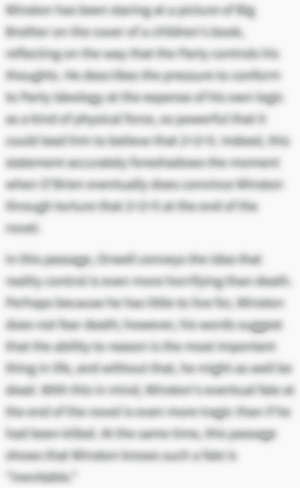 Retrieved March 11, 2019. https://www.litcharts.com/lit/siddhartha/themes/direction-and-indirection.